[EMANCIPATION PROCLAMATION]. Newspaper. 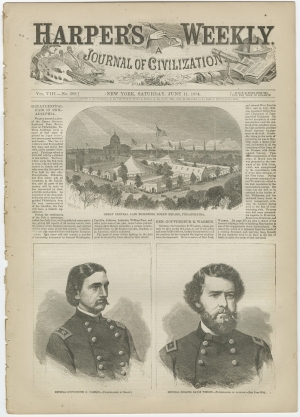 Harper’s Weekly, June 11, 1864. 16 pp., complete, disbound.